Home Order Fulfillment Automation Solutions. Complementary Applications. Container Routing. Fast, flow-through container routing system. In many high-performance picking operations, how the cartons or totes get to the pick areas can be just as important as the pick process itself. LP Convey can help streamline that process. LP Convey uses data within the Lightning Pick database to understand container routing requirements. 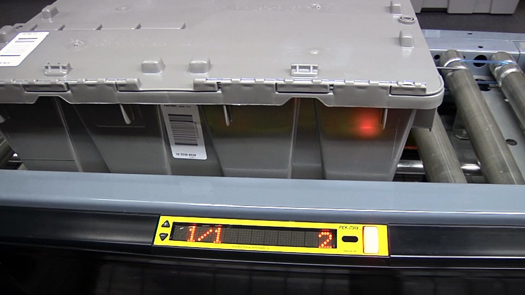 The system integrates with the conveyor programmable logic controllers (PLCs) and conveyor-mounted barcode readers over an Ethernet network to identify and divert containers into required pick areas. 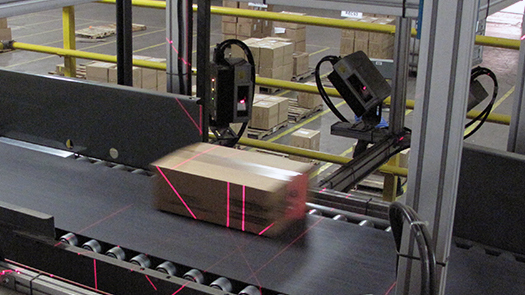 By utilizing a unique, decision point configuration approach, the PLC is relieved of the data handling tasks associated with most barcode-based applications. This results in a system that can be easily modified and maintained by plant personnel. Added Capabilities Through Seamless Integration. LP Convey can also route to quality control, value-add, supplemental pick areas — or to order finishing automation — based on real-time pick data or data from check-weighers or manifest systems. More complex applications are handled through the real-time MS Message Queues interface. This standardized approach allows seamless integration with a number of leading warehouse control software (WCS) providers. 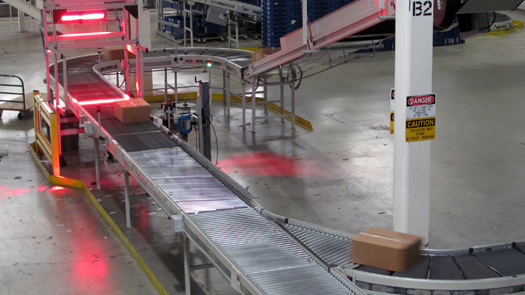 Easily configurable features include programmable routes, decision points and destinations. Complete process tracking and reporting. 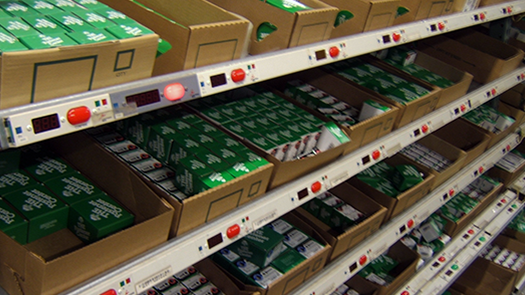 The unique, decision point configuration approach relieves the PLC of data handling tasks associated with most barcode applications. This results in a system that plant personnel can easily modify and maintain. See how multiple Lightning Pick customers have increased the speed and accuracy of their piece picking operations with our pick-to-light systems. Lightning Pick integrates and manages simple or complex material flow systems, synchronizing pick, pack, order finishing, manifesting and other automation for complete order fulfillment solutions.